Background:Influenza virus is globally pathogenic and it is usually associated with zoonotic respiratory diseases. This virus has caused a number of pandemics with a high mortality rate. The non-structural (NS1) protein of influenza A viruses is a non-essential virulence factor that has multiple accessory functions during viral infection. This protein is highly conservative. It has been shown that this protein has a major role against the immunity responses of the host cells. Objectives:The aim of this study is to produce the recombinant Influenza NS1 protein by the use of bacterial production system in order to evaluate the immunological and structural features of the protein in the following researches. Materials and Methods:The NS1 gene construct has been artificially synthesized; subsequently it has been sub-cloned in to the pQE30 expression vector. Then the expression vector has been transformed in to the BL21 cells and induced by IPTG, afterward the expression has been evaluated by SDS-PAGE and Western Blotting Techniques. Results:The NS1 gene has successfully cloned and transformed in to expression cells, as a result a 23 kDa band has been observed both on SDS-PAGE and nitrocellulose paper after western blotting. Conclusions:Based on the results of this study, it could be concluded that the NS1 gene of Influenza A H1N1 virus (A/Shiraz/14/2010 Strain), could be cloned and the rNS1 protein (recombinant NS1 protein) could be expressed using bacterial protein translation system. Science this protein is a conservative protein among Influenza A viruses could be used as a potent vaccine for prevention of various types of pandemics caused by Influenza A. Influenza is commonly defined as a type of viral infection caused by influenza virus. This virus is extremely pathogenic and is typically known as the causative agent of zoonotic respiratory disease. Influenza A viruses contain single-stranded, negative sense, segmented RNA genome consisting of eight segments of viral RNA (vRNA), which encode 11 known proteins, this enveloped virus is one of the members of the family Orthomyxoviridae and are classified into subtypes depending upon their surface glycoproteins, haemagglutinin (HA) and neuraminidase (NA). Depending on the strain, Influenza A virus genome (8 RNA segments) encodes 10 or 11 proteins. The last segment (Segment 8) which is also the shortest one, encodes an mRNA that is alternatively spliced in order to express the nonstructural protein-1 (NS1) and the nuclear export protein (NEP) (1). The NS1 protein is not present in the virion but only expressed in infected host cells (2). Probably the Full-length NS1 is a homodimer protein, with both the RNA binding and effector domains contributing. NS1 is a multifunctional protein, significantly linking the protein-RNA and protein-protein interaction (3, 4). Researchers have been demonstrated that the phylogenetic relationship of NS1A gene isolated from genetically distinct infected cells, verified that the NS1A protein undertakes evolutionary divergence (5). The viral NS1 protein is generally considered as the common factor by which all influenza A viruses antagonize host immune responses which is a survival mechanism of the virus (6, 7). There are only three known A subtypes influenza viruses affecting human cells (H1N1, H2N2, and H3N2) which both H3N2 and H1N1 are presently circulating among humans (2). According to the importance of the Influenza NS1 protein and its key role in viral infection as well as the various kinds of pandemics reported globally caused by Influenza H1N1, the aim of the present study is to clone and express the NS1 protein of Influenza A H1N1 virus (A/Shiraz/14/2010 Strain) in order to provide preventive strategies for Iranian population in future. The PCR reaction contains 0.1 μg of DNA, 1 × PCR buffer, 1.5 mM MgCl2, 0.1mM of dNTP, 20 pmol each of forward and reverse primers and 1 unit of TaqDNA polymerase (Cinnagen, Iran). By adding distilled water, the final volume of the reaction was set to 20 μl. The PCR cycling program was conducted with the following temperatures: denaturation at 94ºC for 30 sec, annealing at 49ºC for 30 sec and extension at 72ºC for 45 sec, the mentioned cycle was repeated for 30 times. Reaction was settled at 94ºC and 72ºC for 5 min before and after PCR cycling, respectively (8). The amplified PCR product were subjected to electrophoresis using 1.5% agarose gel stained with SYBr green, the band was observed under UV transiluminator. To sub cloning of NS1 gene into expression vector, the NS1/pCR 2.1 plasmid was digested with HindIII and KpnI restriction enzymes. The digestion product was analyzed by electrophoresis on 1.5% agarose gel and the desired band recovered using DNA gel extraction kit (Qiagene, USA).The purified fragment was inserted into digested pQE30 vector and transformed into E.coli Top 10 strain. Recombinant plasmid was extract by plasmid extraction kit (Qiagene, USA). The recombinant plasmid was confirmed by PCR analysis with universal primers and also digestion by HindIII and KpnI. The recombinant construct was transformed into E.coli BL21 in order to express the mentioned protein and was cultured on the LB agar medium containing 50 µg.ml-1 of ampicillin. The transformed colony was inoculated into 3 mL X medium (1.2% bacto trypton, 2.4% yeast extract, 0.04% glycerol, 1% M9 salts) (M9 salts contain: 6.4% Na2H2O4- 7H2O, 1.5% KH2PO4, 0.025% NaCl, 0.05% NH4Cl) and incubated at 37 ºC in a shaker at 200 rpm overnight. After 16 hours, the cultured bacteria was inoculated into 50 mL flask and allowed at 37 ºC in a shaker at 200 rpm till the OD reached to 0.6 at 600 nm then the cells were induced with 1 mM IPTG for 6 hours at 37 ºC, the cells were harvested using 4000 rpm centrifuge for 15 min. The pellet was resuspended in a lysis buffer (Glycerol 10 %, Tris (pH 8), PMSF10mM, 1%Triton X-100) (Merck, Germany). Fraction containing NS1 recombinant protein was analyzed by 12% SDS PAGE electrophoresis (8). Result of SDS-PAGE was confirmed by western blotting using His-tag monoclonal antibody as the primary antibody and anti-mouse HRP conjugated immunoglobulin (abcam,UK) as the secondary antibody (9). The synthetic plasmid (pCR2.1) containing NS1 gene was transformed in to the E-coli XL1-Blue strain bacteria and cultured on the LB medium containing ampicillin and they have been grown on the LB medium containing ampicillin. The extracted plasmid (pCR2.1) uploaded and analyzed by electrophoresis on 0.8% agarose gel. The 597bp NS1 gene was prepared from pCR2.1 vector and inserted into HindIII and KpnI restriction sites of pQE30 expression vector. The PCR product was subjected to the electrophoresis and the 860 bp bands were observed which confirmed the amplification of NS1 gene (Figure 1). The PCR product was also digested by restriction enzymes (HindIII and KpnI), after a 2-hour incubation a 660 bp band was observed under UV illuminator. The digested plasmid was sub cloned in to the expression vector (pQE30); the NS1/pQE30 construct was observed in Figure 2. The recombinant protein was expressed and detected using different techniques including SDS-PAGE and Western Blotting, in both methods, the expression of 23kDa protein was confirmed and compared with control group. The expression of recombinant NS1protein was detected and compared with control forms of bacteria by SDS PAGE analysis (Figure 3). The expressed 23kd protein was confirmed by western blotting. The brown band for positive expression against of pre-stained protein marker (Fermentas, Lithuania) was appearing 5 hours after induction (Figure 4). Influenza is a viral respiratory disease with a global importance, caused by influenza virus which is an RNA virus with segmented genome and antigenic diversity and it is also responsible for about 20,000 deaths and 114,000 hospitalizations annually (2). The NS1 protein binds to the double-stranded RNA and forms dimers in vivo, and performs several important functions for the replication of the virus in its host (1). Influenza viruses are leaded to seasonal epidemics, which are due to the mutations in the viral surface glycoproteins. The viral NS1 protein is widely regarded as the common factor by which all influenza A viruses antagonize host immune responses. The available data indicate that the main function of NS1 is to antagonize IFN-α/β mediated antiviral responses (10). The influenza A virus NS1 protein has an unique regulative properties in mammalians, with which it could undergo a series of reassortment events under harsh pressure (11). Thus many researchers has conducted extensive researches on Influenza A virus in order to find a proper vaccine according to the NS1 properties and features, that could be a proper candidate for our studies. Metreveli has carried out a comparative study on NS1 gene extracted from H7N7, H4N6, H12N5 and H6N8 subtypes (2, 11). It has been observed that, mutant influenza A viruses that are unable to express NS1 only display high pathogenicity in mice lacking antiviral mediators for instance STAT1 or the dsRNA-activated protein kinase (PKR) (6). The available data shows that the main function of NS1 in current in vivo models is to antagonize IFN-a/b mediated antiviral responses (10). Moreover, the NS1 protein has also multifunctional activates which helps the virus to replicate in host cells, these sorts of functions could be mentioned as: sequential regulation of viral RNA bio synthesis, regulatory of viral genome splicing, increasing viral translation process, suppression of host immune responses such as apoptotic pathways and activation of phosphoinosidine Kinase-3 (PIK-3) (10). Many studies have adopted different transformation methods. Regardless of the method used in transformation, the bacterial strain, E. coli, is commonly used as expression host for many therapeutic proteins (9). At the present study we have tried to express NS1 recombinant protein of Influenza A H1N1 virus (A/Shiraz/14/2010 Strain) in order to provide preventive strategies for Iranian population in following study. However, Ward et.al have used yeast host, Saccharomyces cerevisiae,as a host for this goal (12). Recent studies have shown that the NS1 protein was expressed in both soluble and insoluble fractions. Typically, the expressed NS1 fusion protein was detected at 26 kDa (13, 14), in the present study the 23 kDa band were observed which is in approval of the previous study. Based on the results of this study, it could be concluded that the NS1 gene of Influenza A H1N1 virus (A/Shiraz/14/2010 Strain), could be cloned and the rNS1 protein (recombinant NS1 protein) could be expressed using bacterial protein translation system. Science this protein is a conservative protein among Influenza A viruses could be used as a potent vaccine for prevention of various types of pandemics caused by Influenza A. This article is extracted from Marzieh Sadeghi`s thesis and was carried out in Cellular and Molecular Biology Research center and Biotechnology department of Shahid Beheshti University of Medical Sciences, Tehran, Iran. All authors were participated equally in the manuscript preparation. There is not any conflict of interest between the authors. This research was supported by Deputy in Research of Shahid Beheshti University of Medical Sciences. 1. Geiss GK, Salvatore M, Tumpey TM, Carter VS, Wang X, Basler CF, et al. Cellular transcriptional profiling in influenza A virus-infected lung epithelial cells: the role of the nonstructural NS1 protein in the evasion of the host innate defense and its potential contribution to pandemic influenza. Proc Natl Acad Sci U S A. 2002;99(16):10736-41. 2. Metreveli G. Expression of influenza virus nonstructural protein 1 (NS1). Sweden, Uppsala: MSc; 2007. 3. Xia S, Monzingo AF, Robertus JD. Structure of NS1A effector domain from the influenza A/Udorn/72 virus. Acta Crystallogr D Biol Crystallogr. 2009;65(Pt 1):11-7. 4. Qiu Y, Krug RM. The influenza virus NS1 protein is a poly(A)-binding protein that inhibits nuclear export of mRNAs containing poly(A). J Virol. 1994;68(4):2425-32. 5. Zohari S, Gyarmati P, Thoren P, Czifra G, Brojer C, Belak S, et al. Genetic characterization of the NS gene indicates co-circulation of two sub-lineages of highly pathogenic avian influenza virus of H5N1 subtype in Northern Europe in 2006. Virus Genes. 2008;36(1):117-25. 6. Garcia-Sastre A, Egorov A, Matassov D, Brandt S, Levy DE, Durbin JE, et al. Influenza A virus lacking the NS1 gene replicates in interferon-deficient systems. Virology. 1998;252(2):324-30. 7. Kochs G, García-Sastre A, Martínez-Sobrido L. Multiple Anti-Interferon Actions of the Influenza A Virus NS1 Protein. Journal of Virology. 2007;81(13):7011-21. 8. 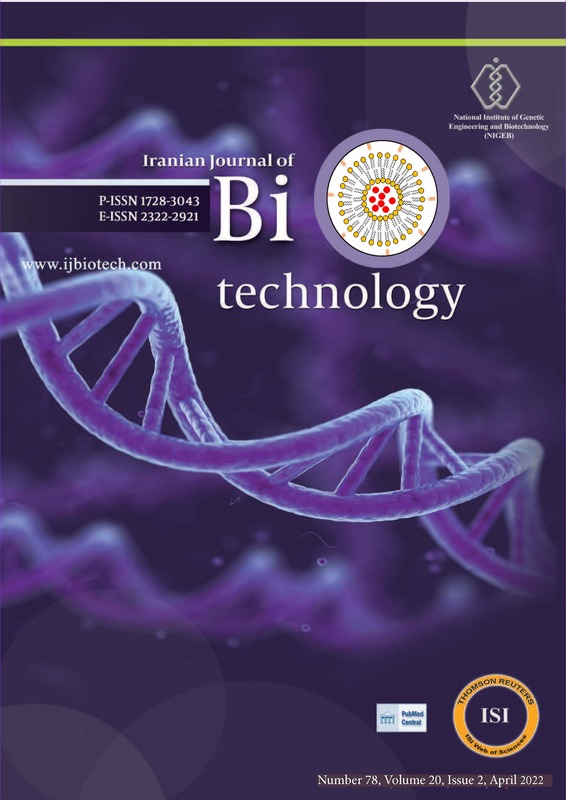 Kazemi B, Seyed N, Bandehpour M, Sharifnia Z, Pakzad P. Cloning, expression and purification of truncated Chlamydia trachomatis outer membrane protein 2 (omp2) and its application in an ELISA assay. Iran J Immunol. 2008;5(3):148-55. 9. Bandehpour M, Khodabandeh M, Mosaffa N, Sharifnia Z, Ghazanfari T, Kazemi B. An efficient procedure for purification of recombinant human beta heat shock protein 90. Daru. 2010;18(1):64-8. 10. Hale BG, Randall RE, Ortin J, Jackson D. The multifunctional NS1 protein of influenza A viruses. J Gen Virol. 2008;89(Pt 10):2359-76. 11. Lih Lih O. Cloning and Overexpression of Influenza A H1N1 NS1 Protein In Escherichia coli. Malaysia: Universiti Teknologi; 2010. 12. Ward AC, Azad AA, Macreadie IG. Expression and characterisation of the influenza A virus non-structural protein NS1 in yeast. Arch Virol. 1994;138(3-4):299-314. 13. Manasatienkij W, Lekcharoensuk P, Upragarin N. Expression and Purification of NS1 Protein of Highly Pathogenic Avian Influenza Virus H5N1 in Escherichia coli. Kasetsart J. 2008;42(3):485. 14. Ma F, Li Y, Zheng L, . Prokaryotic expression and purification of NS1 protein of human influenza A virus subtype H1N1. Chinese J Biol. 2009;22(3):221-5.